Where I live, the summers get very hot. And when I say very, I mean you can’t even walk outside your front door without starting to sweat. It’s bad. July is pretty bad when it comes to heat because we get a lot of humidity. But as my memory serves me right, August isn’t too bad in terms of heat. And these past 2 days, the weather is legit like Autumn weather…. and I’M LOVING IT! 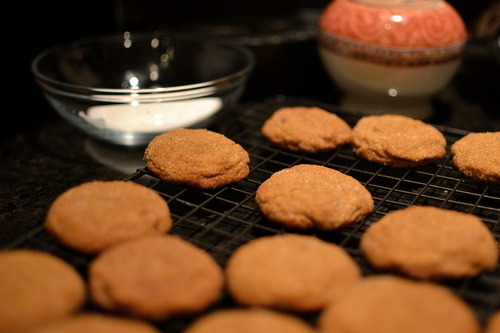 So what better way to welcome the Autumn season … (30 days early) then to make Ginger Molasses Cookies! Roll into 1-1/4 in. balls; roll in remaining sugar. Place 2 in. apart on greased baking sheets. 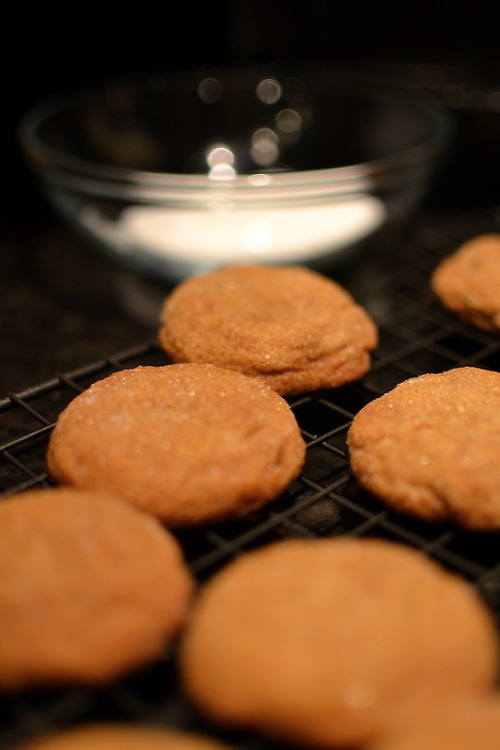 Bake at 350 for 10-14 minutes or until tops crack and edges are slightly firm. Remove to wire racks to cool. Now enjoy these cookies in a comfy sweater and pretend there are falling, colourful leaves outside your window!